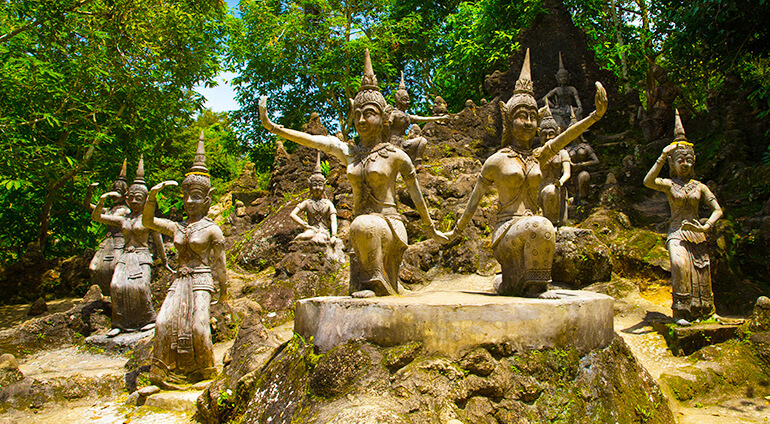 Koh Samui is an island of distinctive, vibrant, local cultures and customs. The first settlers here were Chinese traders and Muslim fisherman, whose descendants still remain. These days the majority of people here are Buddhist (around 95%), in keeping with the rest of Thailand, followed by Islam, Taoism and Christianity. A great place to get a feel for local life is at the island’s markets, such as Laem Din behind Chaweng, Nathon’s fresh food market (down the west coast) and the market in Muslim fishing village Hua Thanon.